Parents know that a baby makes love stronger, the days shorter, the night longer, saving smaller, and a home happier. 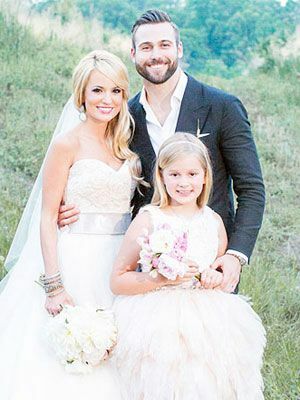 And we think, TV personality, Emily Maynard is really enjoying the days with her three children and again she is ready to change the diapers of her fourth child. Yes, it's a truth. Emily was spotted with a baby bump, and her pregnancy was confirmed by her husband Tyler Johnson. So, let's just know more about her pregnancy, also about the date of delivery. And don't you wanna know about Emily and Tyler's happily married life? If Yes, then let's just start. The star of season 8, Emily confirmed that she's pregnant in an Instagram post-Tuesday. "This pregnancy has been filled with lots of hot wings, ranch dressing, an emergency appendix surgery at 6 months, and swollen ankles all day every day but I wouldn't change it for the world. My little tribe can’t wait to meet their new brother or sister (it’s a surprise!) in the next couple of weeks!" On Monday, she shares a clip where she showed off her bumps in white and blue tunic checkered walking alongside with her son Jennings Tyler,2. In the video, she is enjoying ice-cream with her son. Emily is the mother of three children: Ricki Hendricks (12) from her past relationship with her former fiance. And Jennings Tayler and Gibson Kyle with Johnson. We have talked about her children. Let's move forward to know about her marriage relation with Johnson. 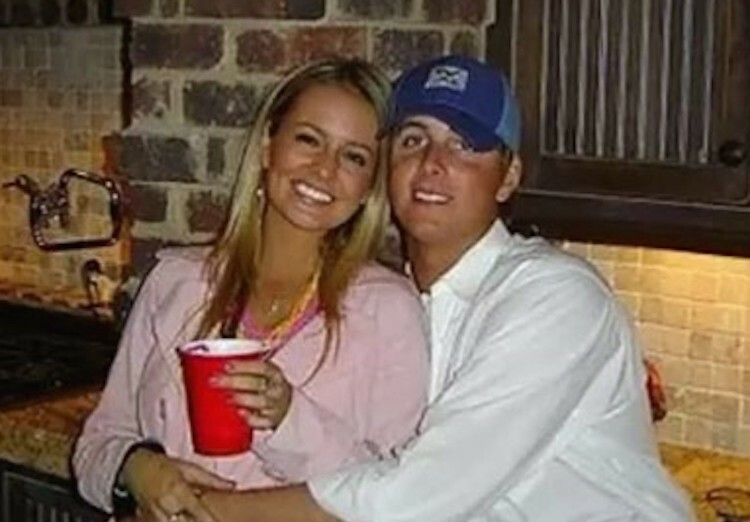 Emily was first engaged to her fiance, Ricky Hendrick and together the couple gave birth to a beautiful daughter. Sadly, he died in a plane crash. He was an American NASCAR Rstock car driver and was the father of a daughter, Ricki Hendricks. After Ricky, Emily signed on The Bachelor in a hope to find a true love. And there she met Brad Womack and he proposed her on the final season in 2011. She says,"The feelings that I had for Brad were very real, But I don’t know if I was in love with him”. They got closer and closer but they broke up after allegations of infidelity and blackmail from Brad. The breakup is just like a broken mirror, it's better to leave it broken rather than hurting yourself while trying to fix it. After her breakup, she was supported by the media. As difficult roads often lead to a beautiful destination, her life changed. She met her husband Tyler Johnson and they tied the knot in 2014. And till the date of their marriage, the couple is living a happily married life with each other with out any divorce rumor. We hope they stay happy and together for lifelong. ALL THE BEST!!!!! !